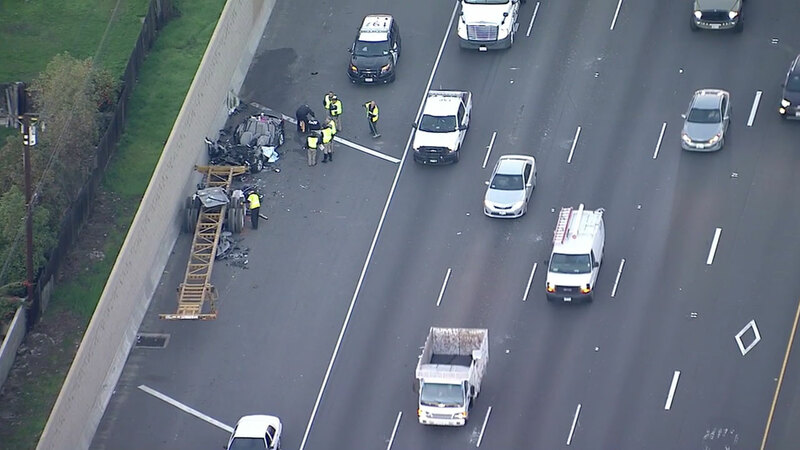 CLAREMONT, Calif. (KABC) -- Two people died after crashing into the back of a semi-truck stopped on the shoulder of the eastbound 10 Freeway in Claremont early Wednesday morning. Authorities said the crash happened around 4 a.m. right before the Indian Hill Boulevard exit. The car slammed into the back of the trailer along the shoulder, which sliced off the roof of the car. It was unclear why the car crashed. Only one lane was blocked until 7 a.m. as police investigated the scene.